Although I only have girls, that doesn't at all mean that we don't enjoy a good deal of traditionally-boy activities, toys, and shows around here. Little Sister B has chosen princesses over cars once or twice before, but Big Sister E will opt for the trucks or trains or dinosaurs or whatnot nearly ever time. Therefore, I wasn't surprised when they both were thrilled to check out the fun and adventures on the debut DVD of Roary the Racing Car. 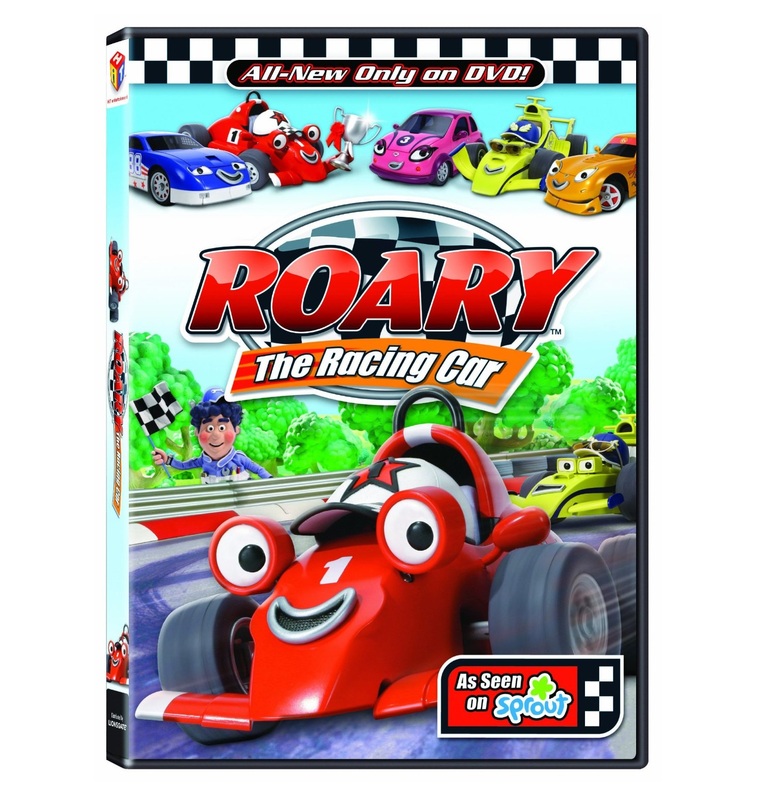 Available on DVD, Digital Download and On Demand from Lionsgate and HIT Entertainment, Roary the Racing Car follows the adventures of a young racing car living at Silver Hatch racetrack. This red, energetic, spirited car is enthusiastic and curious, a combination that often leads him into trouble in his television episodes on channels such as Nick Jr and Sprout. Geared at children ages 2 - 5, I knew that my kids would enjoy the blend of stop frame animation and CGI that gives Roary a look similar to a modern version of the claymation that always entertained me as a child. And they did! Roary the Racing Car and his racetrack buddies, Tin Top, Zizzy, Lugga, Dragga and mischievous Maxi bring young viewers on high-speed adventures that are sure to grab their attention. The racetrack becomes a pit stop of great times as everyone goes the extra mile for Marsha’s birthday party, Big Chris becomes a babysitter and Rusty is on a roll… without wheels! Stars and Cars - Big Chris has been invited to appear on a TV karaoke show. The cars are worried that the success will go to his head and he’ll leave Silver Hatch forever. 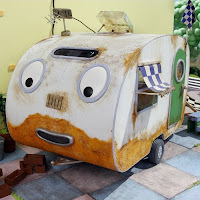 Rusty Takes a Trip - Rusty is fed up with sitting in one place. 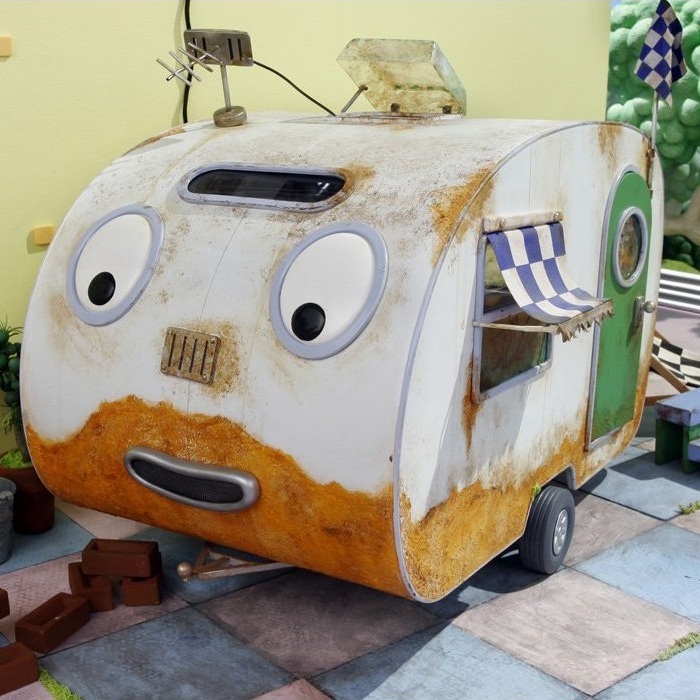 Roary and the other cars plan a special surprise for him, but Rusty soon decides he prefers life without wheels! 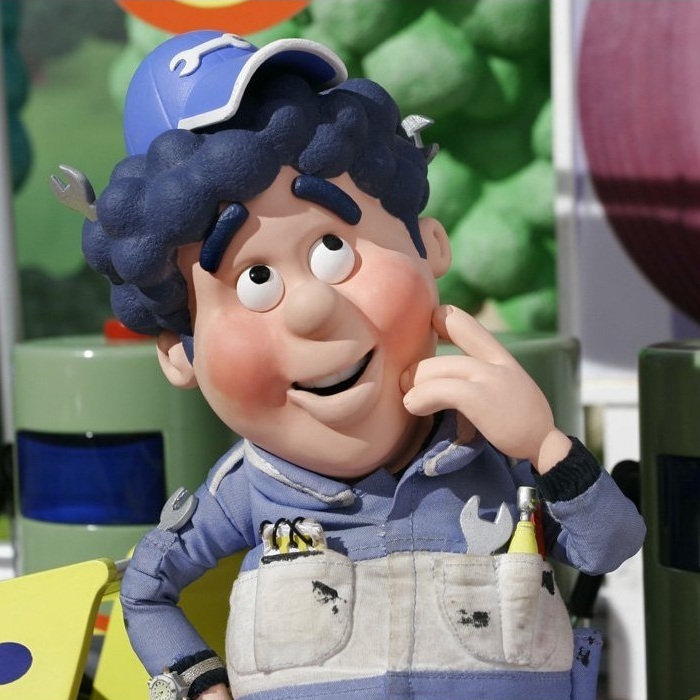 Big Chris Babysits - Big Chris has been left in charge of the track and keeping an eye on Roary and Zizzy. But is Big Chris the one that needs looking after? Roary Gets it Wrong - Farmer Green has given Roary lots of packages to deliver to everybody around the track. How will Roary remember which package belongs to who? 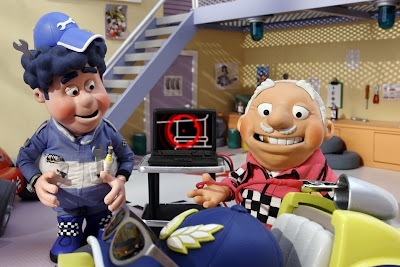 Computer Calamity - Mr. Carburettor has decided that Silver Hatch needs to move with the times and do everything with computers. But Big Chris is a traditional mechanic, so what happens when the two disagree? Big Chris Forgets - It’s Marsha’s birthday, and Big Chris is in charge of organizing a surprise for her. Why does everybody keep reminding him what he needs to do? He wouldn’t forget anything… would he?! With a running time of 55 minutes, these episodes (as well as the Day at the Seaside music video DVD bonus feature) have strong storylines, upbeat songs and cute humor all rolled into one. I'm always a fan of children's shows that have positive messages to them and Roary is no exception. Whether the cars and their human pals are learning about doing the right thing, helping others, staying safe, how to problem solve, the importance of friendship or more, they do so with seemingly-endless enthusiasm and a willingness to always make amends when needed. 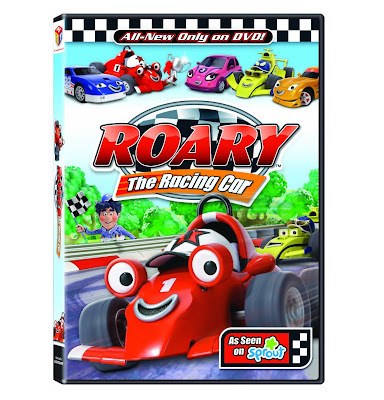 If you have a Roary the Racing Car fan in your household, this DVD will be a special treat to watch at home or in the car. The never-before-seen on TV episodes are sure to be a hit! Retailing for $14.98 (or $11.99 on Amazon) we've really enjoyed getting to know this fun character and his pals more and more each time we've watched it. One lucky person will win a DVD copy of Roary the Racing Car! To enter to win: Tell me who the lucky recipient of this DVD would be and why you think they would enjoy it! 1 Extra Entry if you Like Roary the Racing Car on Facebook. 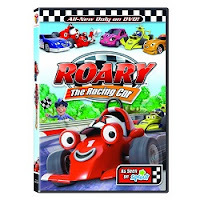 A big thank you to Lionsgate and HIT Entertainment for providing a Roary the Racing Car DVD for me for review as well as for one lucky giveaway winner. The opinions shared are my own and honest and if you really need to see more, click here to see how I roll. my son would love it, he loves Cars. This is great! My son would LOVE this!!! He is SO into cars! This would be for my grandson, I think he would really like it because he loves cars. My daughter would love this video because she loves race cars! The lucky recipient of this DVD would be my nephew - he'd like it because he loves everything with a motor - vroom vroom! I'd love to win for my nephew. He loves anything and everything that has to do with cars and trucks! Thanks! I would love to win this for my 3 year old son whom broke his arm.He loves to watch movies ! My son would absolutely l<3ve this DVD. He loves anything to do with cars!!! Im entering for my nephew. He's 2 and loves cars! I would give this to my nephew because he is obsessed with cars of any kind! I'd like to give this to my friend because her son is crazy about cars. My kiddos would love it, they love to play with cars! My three sons would love this! Roary the Racing Car Facebook follower as Sarah B.
your Facebook follower as Sarah B. Would love for my 3 year old. he's really into fast cars! I would love to win this for my little grandson. 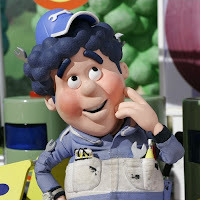 He is always singing "Worwy the wacing car". My sons would get this DVD, they love anything that has wheels or a motor! This would be for my nephew because just loves cars. I like Roary the Racing Car on FB! I like Thanks, Mail Carrier on FB! my son would love this, finally a movie of his own and he doesn't have to watch his sister's princess ones.. I would give the dvd to my boys! They are all about racing. I would give it to my boys. They love cars and are all about racing. I have a daycare and we are always watching the same movies over and over. I have a son myself who is really getting into cars and trucks. He is 18 months. He would absolutely LOVE this! I would give this DVD to my friend. I think he would like it because his child loves Roary! I follow Roary the Racing Car on Facebook under the username likwan. I entered the Zoë b Organic giveaway. I follow you on Twitter and tweeted about this giveaway at https://twitter.com/#!/likwan/status/103321038842105856. my cousins baby would be getting this dvd. he loves cars and anything that moves. he is adorable and lovable and would sit in wonder as the cars on the tv roll around and then he would try to immitate them =]!